Pristine European style home. Built with a high level of detail & luxury features. Travertine & hardwood flooring, custom millwork, professional chefs' kitchen, hand-carved cabinetry, luxurious baths. Home offers elevator, office, formal dining rm, spacious living rm and kitchen with keeping rm & bedroom on main. 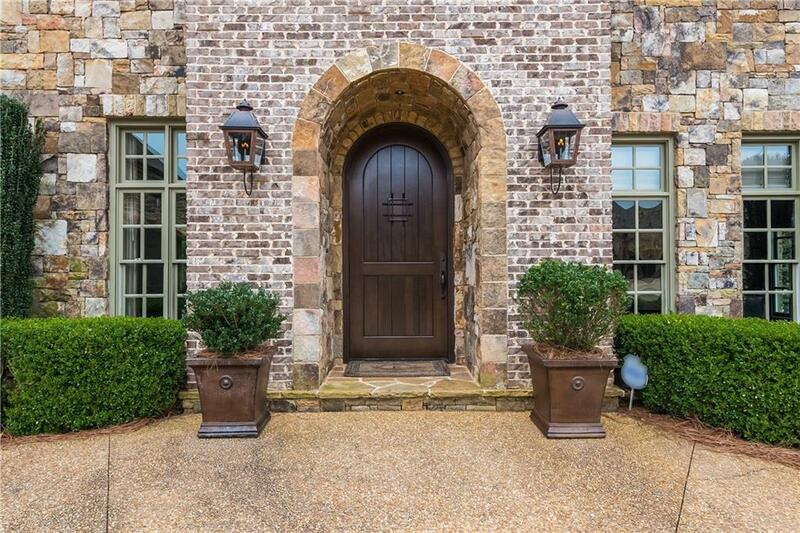 Spectacular master retreat with sitting rm, fireplace, morning bar & 3 walk-in closets. His & her master bath. Finished terrace level offers a custom bar, media rm, gym, walk out patio. Huge covered veranda with beautiful stone patio. Premium oversized lot! !